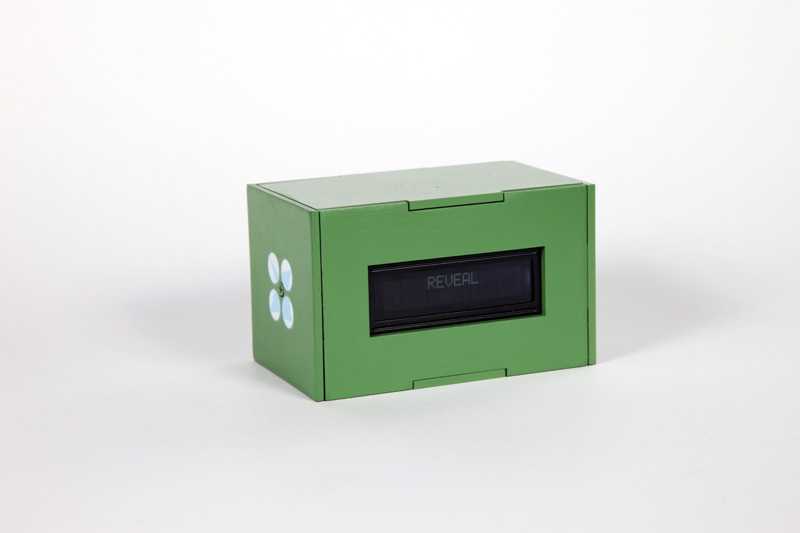 Lauren McCarthy’s Conversacube | Abler. 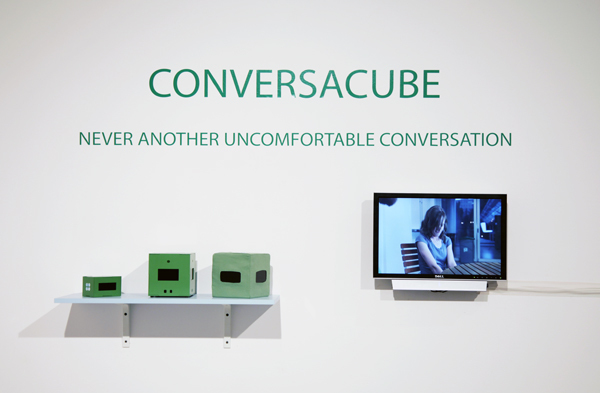 Lauren McCarthy’s Conversacube facilitates all social interactions, providing cues for each stage of an otherwise awkward or transparent moment. Her video treatment of the work amps up the humor in the piece, and it’s a good effect. But this has me both smiling and wincing at once—the choice of verbs here is simple and provocative, both. 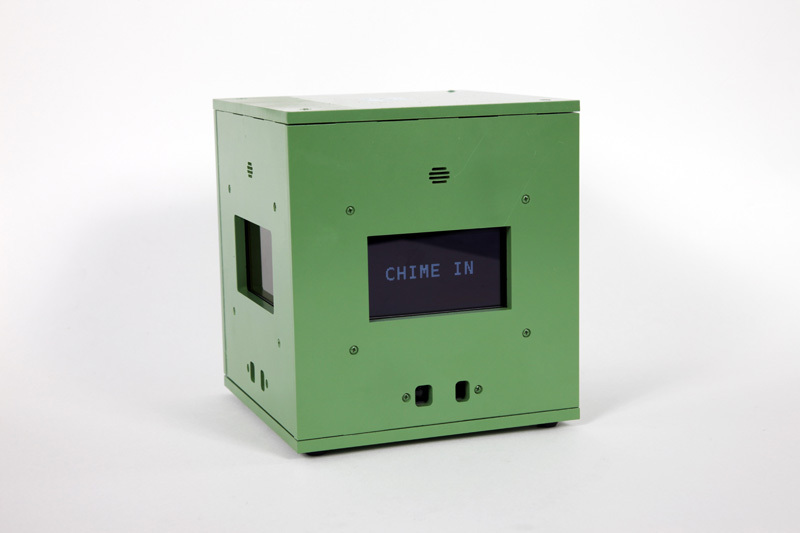 The intent is to create a tool that on one hand, explores the idea of an actual commercial product that uses technology to improve interactions, and on the other hand, is critical of our dependence on technology and choreographed social routines, hinting at a dystopic future where we sacrifice our autonomy to avoid having to face anything uncomfortable. This tool echoes recent facial-expression-recognition software programs and “social stories”—techniques that are used to assist people with autism to discern complex emotional cues. But McCarthy’s project reminds me again how profoundly awkward and laid-bare are our many attempts to be present, see one another, conform our bodies to our words. And since texting has apparently surpassed face-to-face communication for American teens—this may be viable assistive tech sooner than we’d expect. 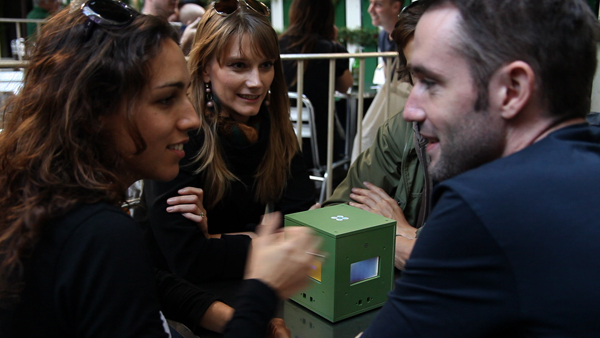 Travel Conversacube from Lauren McCarthy on Vimeo.